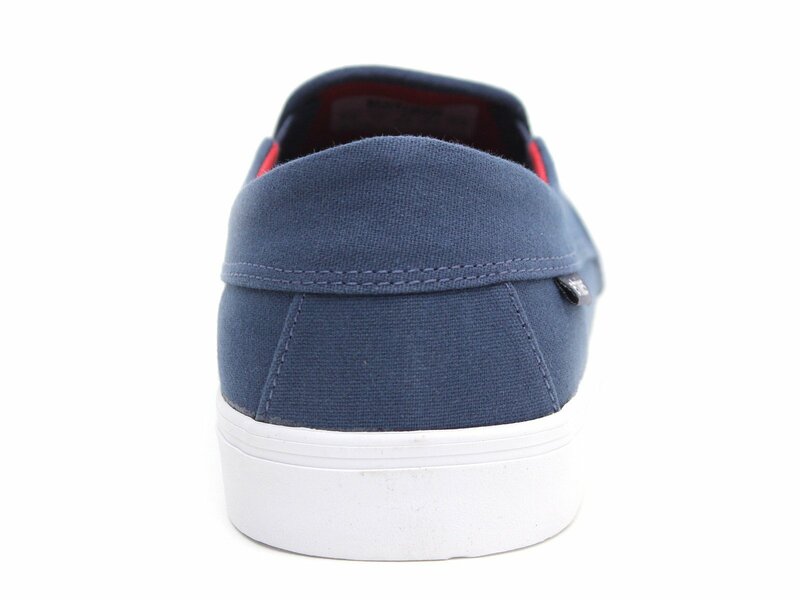 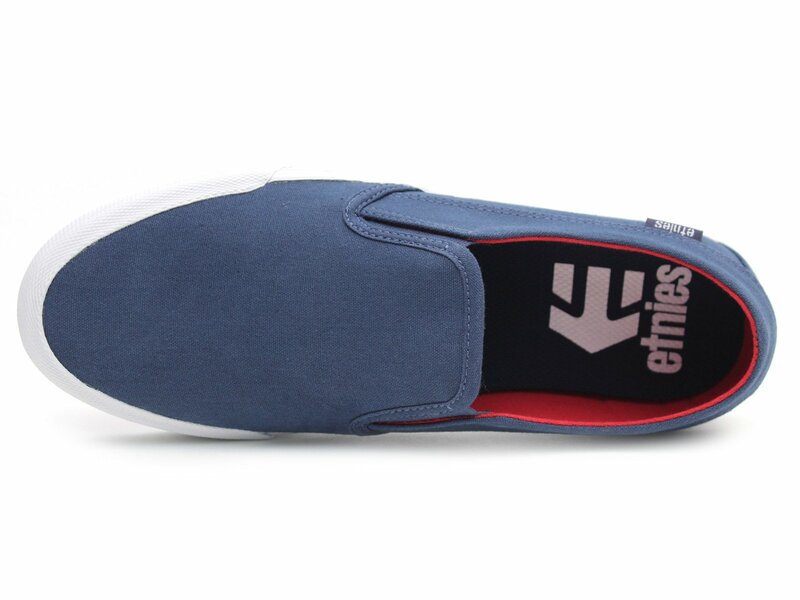 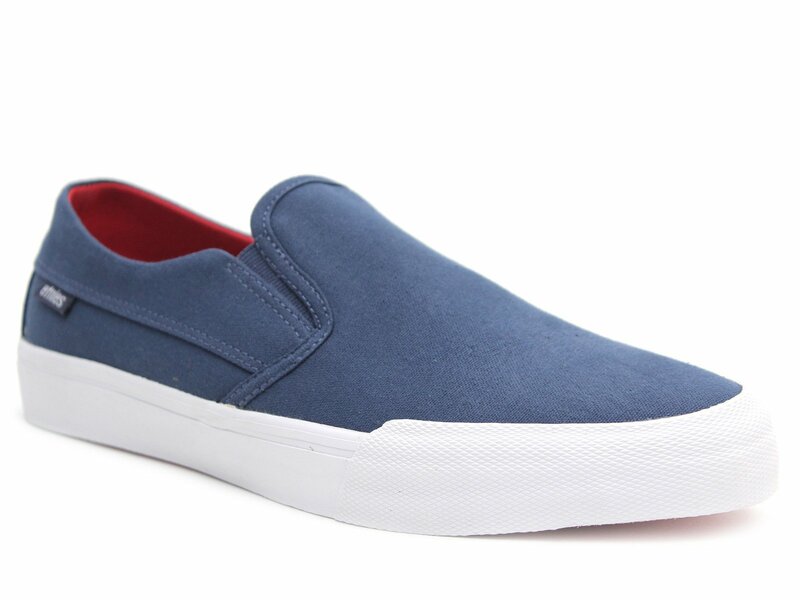 The Etnies "Langston" Shoes - Navy/Red/White is a minimal slip-on with a low profile and a fully deconstructed upper. 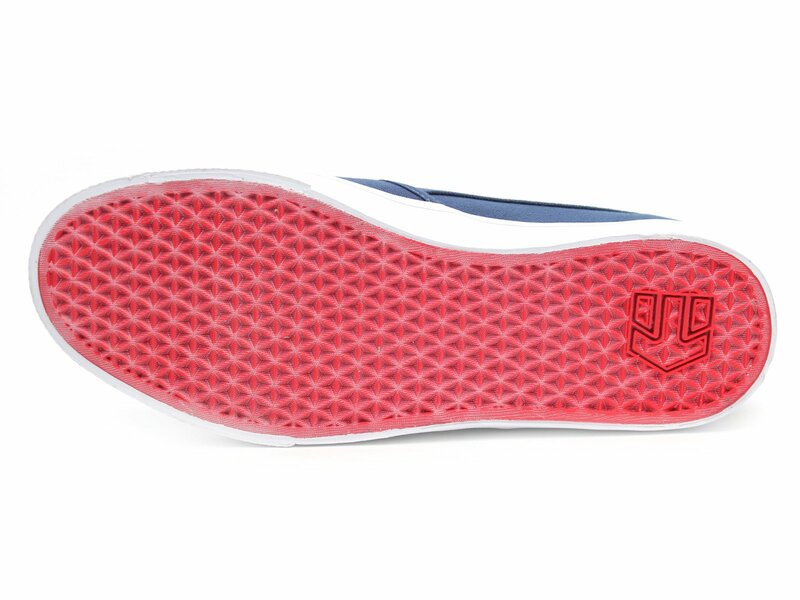 The Etnies "Langston" Shoes - Navy/Red/White features a die cut EVA insole built on a vulcanized outsole with raised foxing. 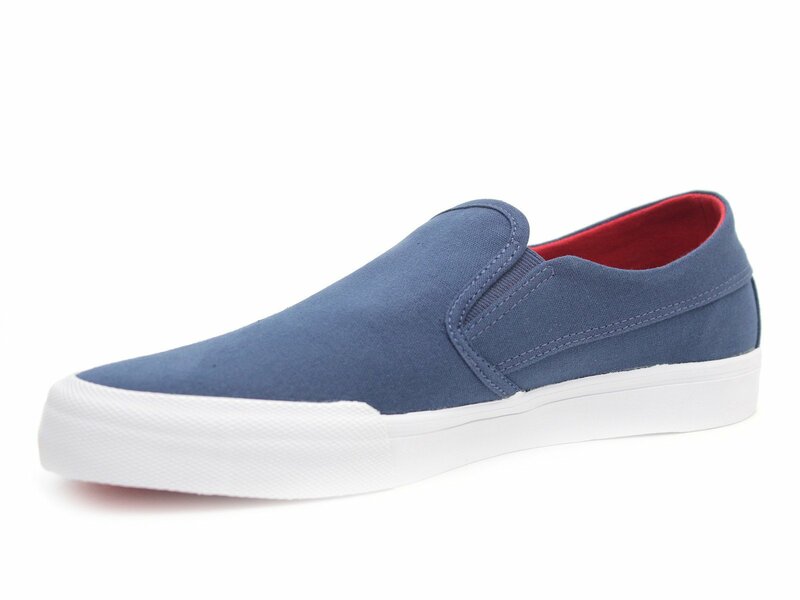 The egg crate midsole offers added cushion while the elastic goring provides easy slip-on and off access. 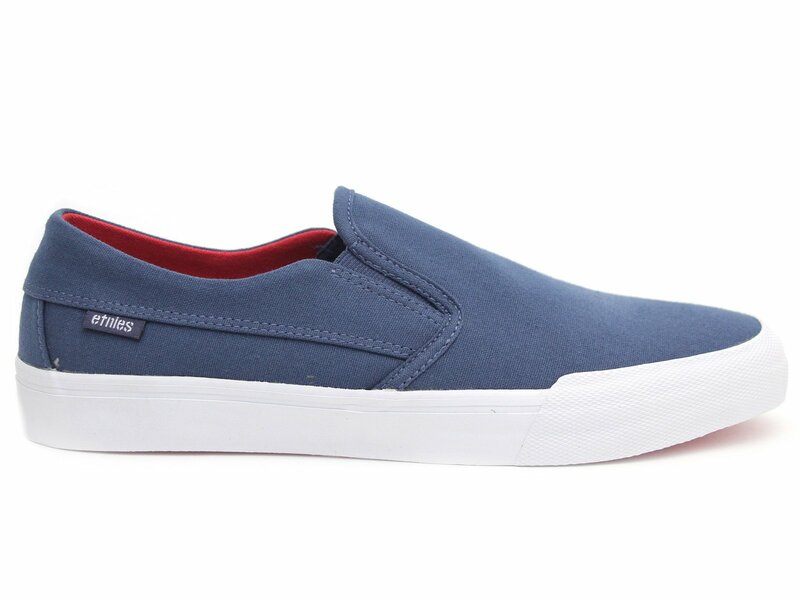 The upper features a one-piece toe vamp overlay with a low toe box, keeping the vamp closer to your foot.